We are launching a new round of secondment opportunities for competition lawyers, starting on 3 June 2019. Following the success of the programme since its launch in June 2018, we are now accepting applications for the next round. The deadline for applications is Wednesday 27 March 2019. Our secondees have come from a range of firms, including Linklaters LLP, Cleary Gottlieb Steen & Hamilton LLP, Allen & Overy LLP, Macfarlanes LLP, Orrick Herrington & Sutcliffe LLP, Skadden, Arps, Slate, Meagher & Flom LLP, Bristows LLP, Freshfields Bruckhaus Deringer LLP andWhite & Case LLP. The 6 month programme encompasses work across all of our competition law functions, and is designed to offer a structured insight into the workings of the CMA. Secondees have the opportunity to work within one or more of the CMA’s Legal Service, Mergers, State aid, Competition Act and Policy functions, under the supervision of our senior CMA lawyers. Secondees form an integral part of our multi-disciplinary teams and have the opportunity to play a key role in delivering the CMA’s aims and strategic goals through casework or wider legal and policy work. This is an excellent opportunity to work with us at the CMA, which will be particularly valuable to both the secondee and their firm on their return to private practice. "It has been invaluable to see how the process works within the CMA, and I would recommend it to anyone looking to develop a strong UK competition law practice." "I have been given really good quality work, have been working in very friendly teams with supportive people who have always taken the time to explain all things CMA to me. I have been able to get much more stuck in to work and teams here than I anticipated prior to starting the secondment. The insight I have gained into how the CMA works and how decisions are made will no doubt be of practical use when I return to my firm." "I have very much enjoyed my secondment to the CMA and to the antitrust team in particular. The work has been interesting and my colleagues are very approachable." "I would say that the experience has been very positive and for lawyers in private practice a secondment at the CMA is certainly valuable experience"
"I’m really enjoying the secondment programme and have found it to be a very useful experience so far. It’s been good both in terms of training and hands on experience so I would definitely recommend it to others. I particularly like that it’s possible to split my time between different departments of the CMA meaning I get a feel for more than one type of work." Our secondments are open to all UK and EU qualified lawyers currently employed in a law firm, and with previous experience working on mergers or Competition Act cases. We offer secondees a range of work suitable for their level of experience and provide training as part of the role. Our secondments last for 6 months with two intakes annually on a rolling basis. The CMA will contribute a flat rate to the cost of secondees, with further details available on request. Firms that would like to put candidates forward should email a CV and cover letter for each candidate by Wednesday 27 March 2019 to Ronan Flanagan, Natalie Rouse, Rosamund Browne and Tricia Hatherley (at the contact details set out below). As part of the cover letter, each candidate should express any preference for exposure to particular types of work within the CMA, and confirm that they are able to spend 6 months with us. 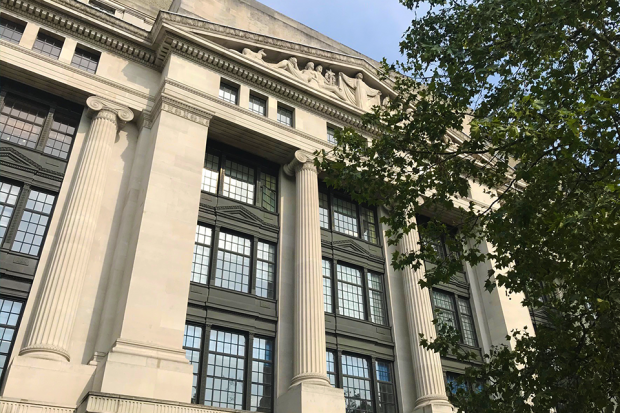 Candidates should be available to meet with contacts at the CMA during either the week of 1 or 8 April 2019 to discuss the secondment. Please note we will not accept applications from agencies. If you have any questions or would like to discuss the benefits of the programme, please contact any of Ronan Flanagan, Natalie Rouse, Rosamund Browne or Tricia Hatherley on the numbers set out below.